News, pictures and video from around the industry! Stay up-to-date on all the latest happenings around Ford and its flagship Pony car. 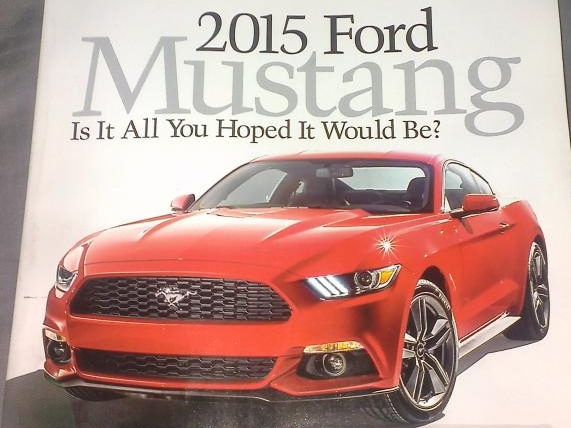 Breaking: The 2015 Ford Mustang Leaked by AutoWeek Magazine! Here it is, folks. In these slightly blurry, cameraphone-snapped photos lies the 2015 Ford Mustang–the 6th generation of our beloved and truly iconic pony car. AutoWeek Magazine has had these coveted photos since the press was invited to see the new car, and now it looks like someone has leaked the magazine itself just two days before we will see the actual car in person. You very well might be seeing something close to this rendering when Ford reveals the real deal. Official: Ford Will Reveal The 2015 Mustang on December 5th! In the most unlikely fashion, it looks like Ford has accidentally leaked when they will be unveiling the 2015 Ford Mustang. Photos: Want to See the 2015 Mustang’s New Instrument Cluster? 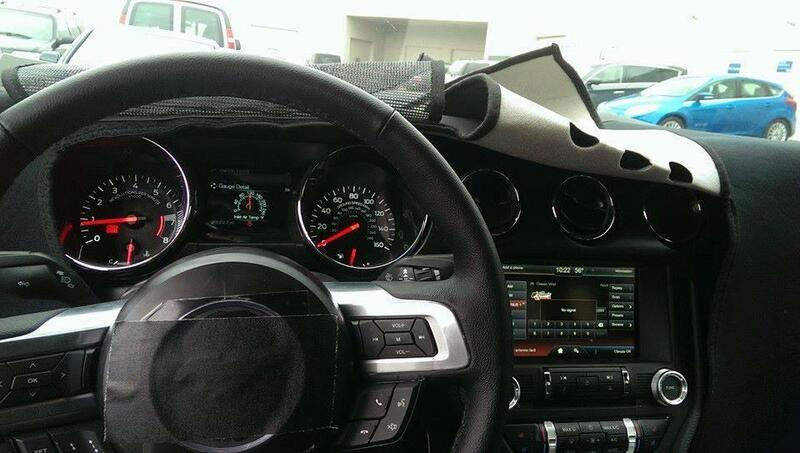 This spy photo shows the instrument cluster and some of the 2015 Mustang’s dashboard. 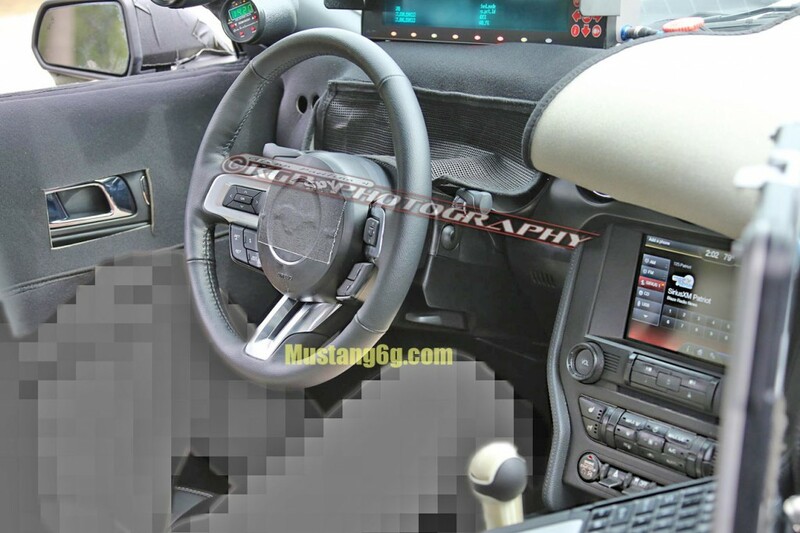 What’s more interesting is that this just may be the dash of a 4 cylinder EcoBoost Mustang. 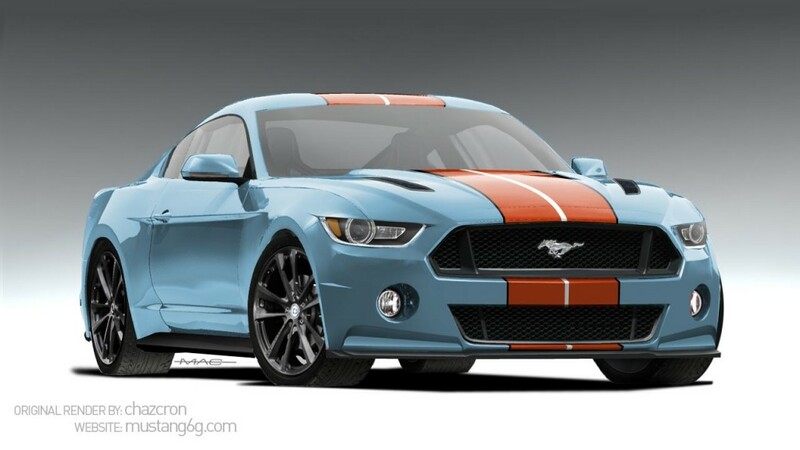 Car & Driver (C&D) Magazine has leaked their version of the 2015 Mustang, just a few months before Ford plans of unveiling the car. Not only that, but they’ve dropped a huge pile of insider knowledge and some of the juicy details surrounding the drivetrain options might come as a huge surprise to those who have been following the lead up to its release. There’s a new Ford survey going out to select Mustang owners, and it appears to be asking questions about what they would want to see the 2015 Mustang come equipped with. What’s interesting is they may have just inadvertently revealed the 2015 Mustang’s engine and transmission options! And guess what? The 4 Cylinder EcoBoost engine is indeed on the list. 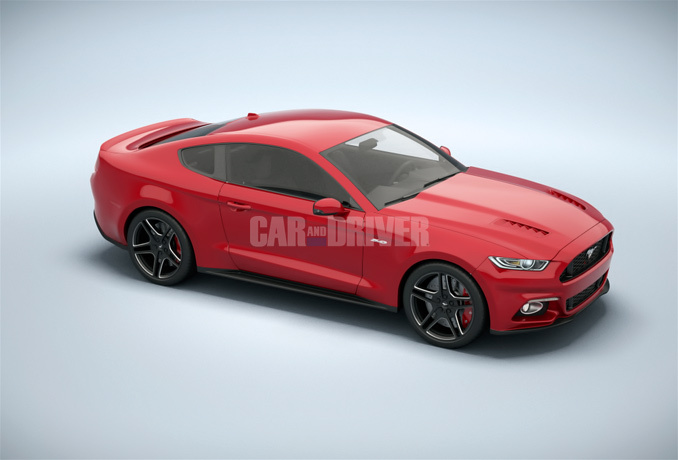 BREAKING NEWS: 2015 Mustang 3D Renderings Based on Leaked CAD Images! 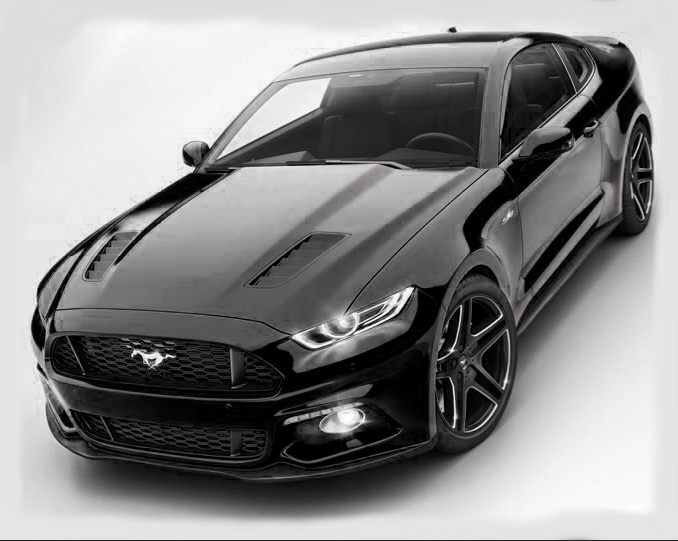 Working hand-in-hand with notorious artist Chazcron, sources close to Ford have not only leaked CAD (Computer-aided design) images of the actual, production 2015 Mustang, but also dropped information on when we can expect Ford to show us the new Mustang! 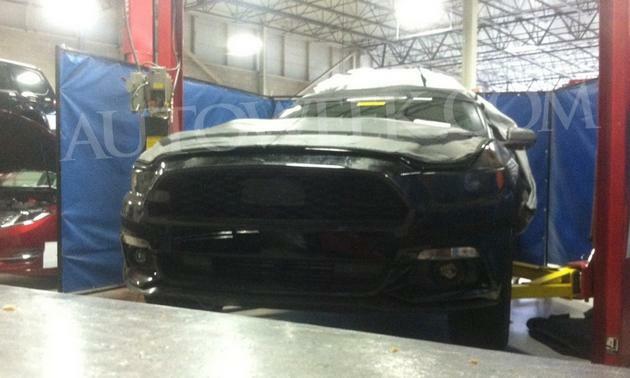 SPY PHOTOS: 2015 Mustang S550 Front End Actually Revealed! Here you are folks. For good or ill, this is the face of the 2015 Mustang. And let me start by saying “it’s about time!” We’ve all been waiting a long while for something–anything–on the interior setup, and now we have it. Despite the obvious changes like the steering wheel rear seat headrests, there are hidden details in these photos as well.